With the holiday season come out-of-town visitors — as well as extraordinary restaurant traffic. While this is great news for restaurant owners, it can certainly impact your Austin tour guide skills. To improve your holiday enjoyment and reduce your stress, we've created a guide to steer you right with each type of Austin visitor. It's worth noting that we're not dismissing the popular choices — Franklin Barbecue is amazing and Home Slice Pizza is always a blast. Our purpose here is simply to offer more accessible alternatives at a time when famous Austin businesses are full to the brim with holiday visitors. 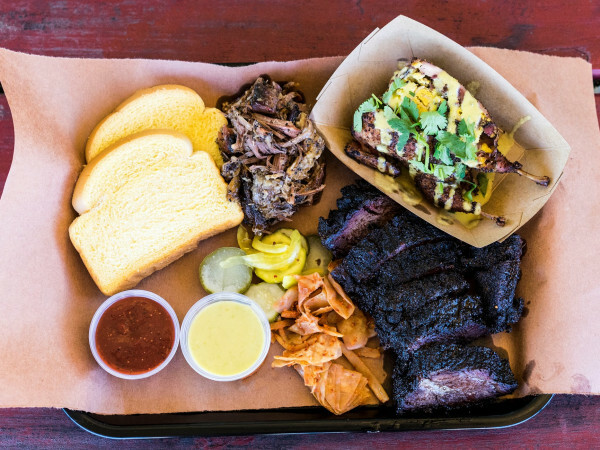 Anyone who pays attention knows that Aaron Franklin is the reigning king of Austin barbecue; the man's impeccable brisket has undeniable magic. That magic leads to holiday lines stretching four hours, though — fun if you're willing to spend a half-day waiting for lunch, but not great when time is limited. Do the sensible thing and drive down the road to Tom Micklethwait's well-rounded trailer. You'll eat well, wait less, and still show your guests some of the state's best barbecue. Some pointers for this trailer: the sausage is always incredible, the desserts are homemade and of fancy restaurant quality, and the side items are cheffy. Grab a selection of sausages, a beef rib, the grits, the beans and some moon pies for the complete experience. When Bon Appetit puts a strip-mall ramen shop in the "Top 50 New Restaurants of 2013," lines tend to form. 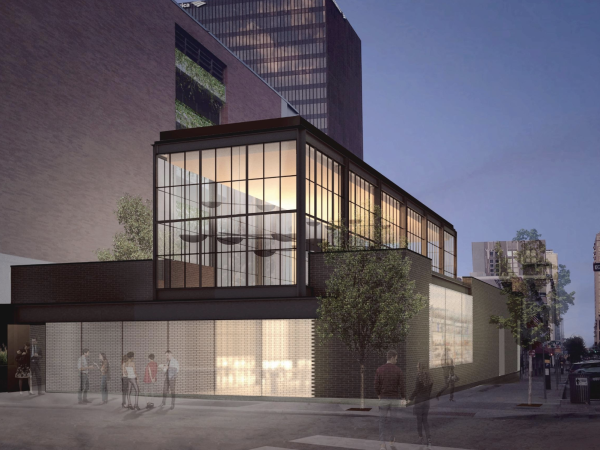 And while the friendly and hard-working brothers are planning a second location to satisfy demand, it won't be here in time for the holidays. How convenient, then, to have Michi Ramen just a few minutes away! The Michi advantage is the space, which seats far more diners than the small Tatsu-Ya room. The service component is also more relaxed by design: you get table rather than counter service, which leads to a more leisurely lunch pace. A small but well-chosen selection of local craft beers rounds out the experience. By all means make the pilgrimage to Tatsu-Ya if you haven't — they deserve their accolades — but do so on a Wednesday in February rather than during the holiday rush. Houndstooth makes national food lists often, and with good reason: they know their product, and they're not messing around on quality. The downside, of course, is that a rugby scrum can develop for Saturday morning coffee at the North Lamar location (the airy downtown space is more relaxed). If you'd like to nerd out about coffee in more relaxed confines, head to this tiny alcove on East Cesar Chavez and fire away with your questions. The knowledgeable baristas can help newbies and coffee nerds alike, and pour small, beautiful cups that are thoughtfully sourced. Co-owner Matt Bolick can also be found up the road at Wright Bros. 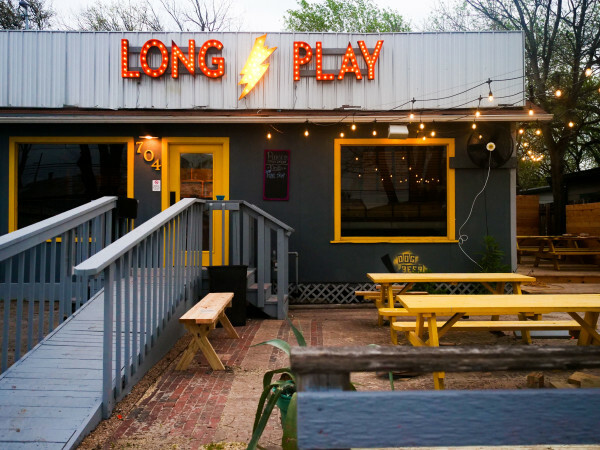 Brew and Brew, but the small wonder at Flat Track is a uniquely Austin experience that your guests will smile about. There's now a Torchy's on every corner, so take the taco pilgrimage to a young upstart instead. Pueblo Viejo's taco game is tight: breakfast tacos are piping hot, with the tortillas griddled and the peppery egg filling coming out just right. The truck's East Sixth Street location also makes it an easy fit for a meal before a night out at perennial favorites like Shangri-La, The Liberty or Whisler's. Prices are reasonable, the salsas are fresh, and the service is friendly. All in all, it's what an Austin taco truck should be: flavorful, convenient and laid-back. Tip: try the self-titled "Pueblo Viejo" taco, a steak and mushroom-packed tortilla of goodness. Take them to: Lucy's Fried Chicken or Sawyer & Co.
Threadgill's remains a popular music venue, and it's certainly not hurting for business, but the food is often less than inspired. Two other local eateries are doing great riffs on the comfort diner idea and are a much better plan for all-things-fried and gravy-laden. If you're east, seek out Sawyer & Co., a Louisiana-inspired diner from the former Supper Friends team. There are fried seafood platters, shrimp and grits, cheese fries and biscuits ... along with cocktails and really good beer. For those north or south, Lucy's Fried Chicken is also a winner. James Holmes (of Olivia) and his crew do fried chicken nachos, cornbread muffins, chili bowls and pie in high style, along with (of course) fried chicken baskets, wedge salads and catfish. A rotating happy hour offers old-school drinks like Pearl Beer and margaritas for peanuts, and the overall vibe is fun and unhurried. The Ginger Man still packs them in downtown, but our challenge there has always been the food (which is pretty much non-existent). Just north of UT, Hopfields finds a zone that's elevated from a typical craft beer bar. The French-accented comfort food menu is far better than it needs to be — try the Pascal burger with camembert, cornichons and whole grain mustard, or the delightful ratatouille. The bar's small scale also allows for a curated yet robust beer selection. Ballast Point Sculpin IPA and Prairie Hop mix with local rarities like Lone Pint and Austin Beerworks Sputnik. The overall experience is affordable, relaxed and smart. It's an easy win for great beers and conversation. Home Slice is an Austin treasure: the joint elevated Austin's pizza game when it really needed it, and its support of local charities is unfailing. That said, grabbing a table at peak hours remains a challenge. As an alternative, turn your pizza journey into a scenic drive through Oak Hill and over to Pieous. The popular Highway 290 spot makes great pizza (and pastrami!) and pairs nicely with a visit to neighboring breweries like Thirsty Planet, Jester King or Twisted X. Pies like the Brussels and Jam and the Bacon Bleu are creative and fun, and the family-friendly atmosphere is casual and relaxed. Still plotting and scheming to book a meal somewhere nice where Dad will swoop in for the check? There's a limit on what you can get away with here. Many parents find some options a bit too esoteric for their tastes ... you still need a place with meaty dishes and a strong drink. Enter Olamaie. Dad can have a Wagyu steak, fluffy biscuits and pecan pie, while you can venture afield with blue crab salad, smoked wahoo and hen of the woods mushrooms. The service component is strong, and bourbon and gin drinks abound. Try the Bee Cave Buck, which uses familiar components like bonded bourbon, lime and ginger beer, then adds in some Kronan Swedish Punsch to add complexity and a tiki accent.